Paul Alagidede is a Professor of Finance at the University of the Witwatersrand, and the Executive Director of the African Finance Consult. He obtained his bachelor's degree in Economics and History from the Kwame Nkrumah University of Science and Technology, a master's degree with distinction in Economics and Finance and a PhD in Economics from Loughborough University, UK. 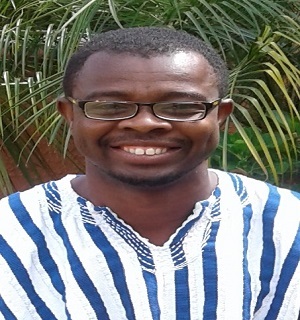 He is the founding editor-in-chief of the African Review of Economics and Finance, the Ghanaian Journal of Economics, and the managing editor of the Journal of African Political Economy and Development. Paul has published widely in the International Review of Financial Analysis, Review of Financial Economics, Quarterly Journal of Economics and Finance and Economics Letters. His research interest covers financial markets, public sector and development macroeconomics. The African Review of Economics and Finance (AREF) is the official journal of the African Finance and Economics Consult (AFEC). The journal acknowledges that the word 'economics' is plural and all economies are positioned, situated, and embedded in particular societies. Therefore, how the economy is studied must necessarily be plural. From this perspective, the journal welcomes high quality articles in theoretical and empirical economics, be they orthodox, heterodox, or economics as an interdisciplinary social science, with special emphasis on African economies and/or how they relate to other economies in Africa or the rest of the world. There is no limit on the topics of interest. Contributions can be either innovation in economic theory or rigorous new applications of existing theory in areas such as behavioural economics and decision theory, game theory, general equilibrium theory, contract theory, public finance, financial economics, industrial organisation, labour economics, political economy of development, urban and regional political economy, and agrarian political economy.